It didn’t really click at first. It hadn’t found its people. By 1958 Leo Fender had already established his name as one of the worlds premier instrument manufacturers. His tube guitar amp designs and Stratocaster and Telecaster guitars were being used by musicians across the globe and his Californian company was something people looked to for revolutionary instruments that would influence the music of the time. So in 1958 he released a guitar he saw as his best work yet. A top of the line electric guitar aimed at jazz musicians, with an all new offset waist and comfortable contour, unique wide range pickups with the ability to switch between a lead an rhythm circuit with one switch and an innovative tremolo system. The Jazzmaster would be Fender’s premium electric guitar that jazz musicians wouldn’t be able to wait to get their hands on. But when it was released it didn’t take as Leo planned. Jazz musicians took little to no interest and the guitars started collecting dust in guitar stores and pawn shops across America. Eventually the guitar found it’s audience with the 60’s surf musicians of the time and the long trajectory of the Jazzmaster and its offset sibling the Jaguar began. Since its inception, the Jazzmaster has been found in the hands of countless iconoclastic guitarists that have helped redefine what it is to be an electric guitar player. After it’s prominence in the surf music scene of the 60’s it found itself back to being a thrift store regular. Guitarists who didn’t relate to the bloated excess of rock music in the 70’s eventually gravitated toward the Jazzmaster and it became the guitar of choice for punk and new wave artists in the late 70’s such as Tom Verlaine of Television and Elvis Costello. It was the guitar of choice for their iconic records ‘Marquee Moon’ and ‘My Aim Is True’, which bought forth a new underground appeal to guitar that was yet to find its people. The 80’s and 90’s saw the rise of indie/alternative rock and grunge and the Jazzmaster became a prominent instrument choice for many guitarists throughout this time. Artists such as Thurston Moore and Lee Ranaldo of Sonic Youth, J Mascis of Dinosaur Jr, Ira Kaplan of Yo La Tengo and Kevin Shields of My Bloody Valentine became some of the most individual and respected guitarists of their time and helped popularize the guitar to a whole new generation of musicians. After decades of being a forgotten child of the Fender family, the Jazzmaster had finally found it’s people and was being understood for the singular and innovative design that it was. 1958 is the 60th anniversary of the guitar and Fender have a slew of different Jazzmaster happenings to celebrate. They have released a limited run 60th anniversary ’58 model, some new colour options in other Fender series as well as a bunch of videos and blog articles to get people up to date on the history of the guitar. 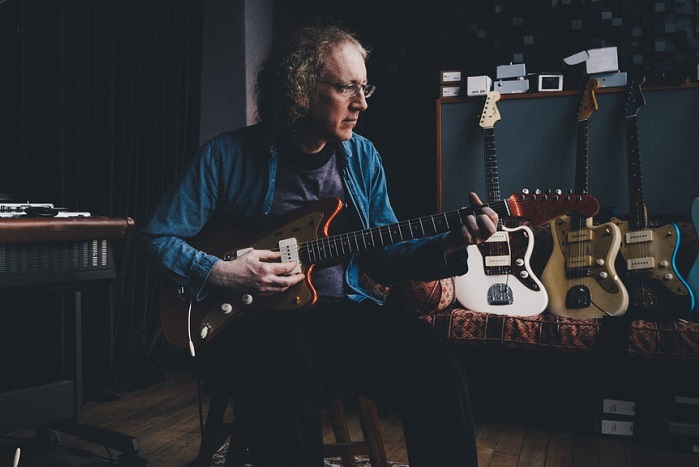 Undoubtedly one of the most individual guitarists to pick up the Jazzmaster is Kevin Shields from My Bloody Valentine. His use of the tremolo arm to create a warped, melting affect when run through his enormous array of effects and amps helped define the Shoegaze genre and change the way people approached the electric guitar thereafter. Kevin speaks from his studio ‘somewhere in Ireland’ on his association and approach to the Jazzmaster in a couple of videos Fender have put together. They’re well worth a look, not just for MBV and Jazzmaster fans but for anyone interested in the history of Fender and electric guitars in general. You can have a look through the videos below and can also browse our range of Jazzmaster’s here.